The Silverline Reinforced Mechanics Gloves are durable work gloves that have been designed to provide comfortable protection with good dexterity. This is achieved with a stretchy spandex shell that provides a snug fit for maximum flexibility, and reinforced panels on the knuckles, palms and fingers for increased protection against mechanical hazards. Both the fingers and the palms of the Silverline Mechanics Gloves have been reinforced with synthetic suede panels for added protection. In addition, the gloves feature neoprene knuckle patches to protect this vulnerable part of the finger for greater safety. 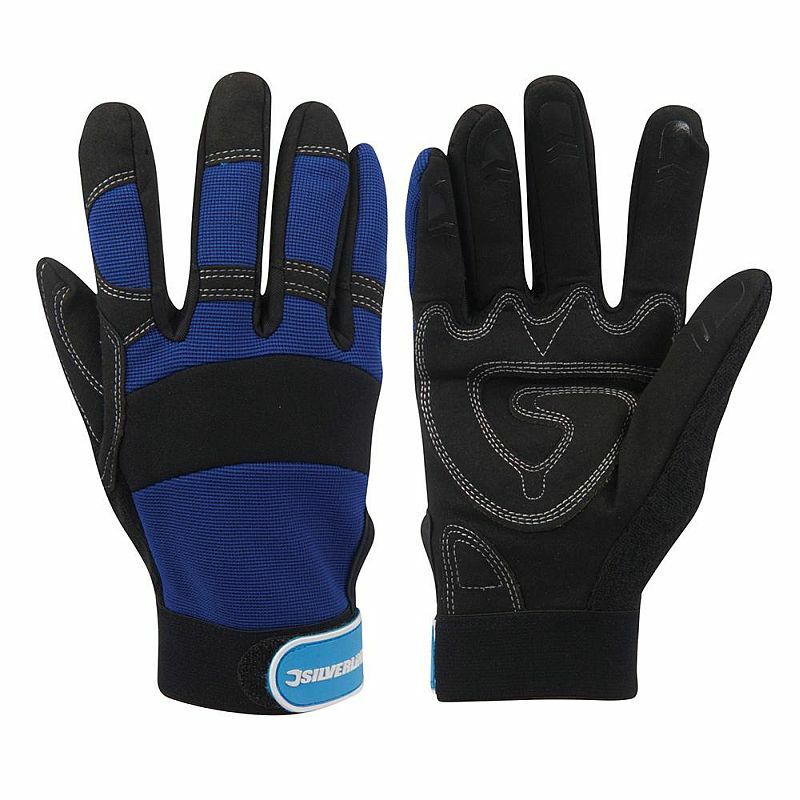 The Silverline Mechanics Gloves are available in size Large only. Due to the stretchy nature of the glove, this size should be suitable for most users.